3 layers filtration: stainless steel filter mesh+ceramic filter+activated carbon. 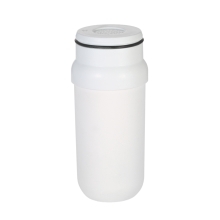 5μm filter precision helps to filter sediment, hair, suspended solids, chlorine, limescale and other impurities of water. Food grade materials, reliable quality, safe and health to use. Washable ceramic filter element, reusable and more economic.